A year ago yesterday the second princess was born to my darling niece. Miss Emily is now one year old. 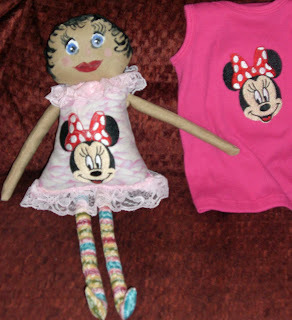 As I made her older sister a "party doll," I thought it only fair to make her a doll also. 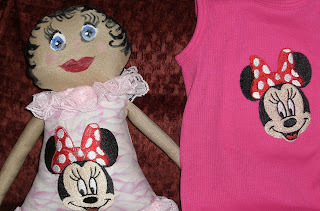 The birthday party is today and I will be delivering her doll and a matching (sort of) tank top. The party theme is Minnie Mouse, so I got an embroidery file for Minnie and sewed it on the dress/body fabric before I constructed the doll. I took the pink tank top and put it there also. Now she will have a top that matches her doll. Did you notice the legs and feet on the doll? Those were a real pain to stuff with fiber fill. the pattern only had straight legs, but I wanted her to have feet, so I added them to the pattern. I also have a dress for the princess (pink and white of course) but as I didn't embellish it, I am not putting a picture of it here. In other news, well really a reminder, my quilt in the Quilting Gallery show is now in second place. So I could use a few extra votes. My quilt, Fields and Hills of Alabama. The voting page is HERE. Thanks to all who have voted. I never dreamed of being in the top three. LOL...now I want to win! What a cute dollie! FYI, I just tweeted to a couple hundred folks to vote for your quilt. I want you to win too! What a lucky niece you have! Such cute presents! Love them. Heehee - you are in second place now....maybe you will move on up! I just got back from voting for you! Too Cute Gene! Lucky little girl. I'll have to check your status today in the contest!! I tweeted and FB'd you also!!!! Love the doll- she's adorable! 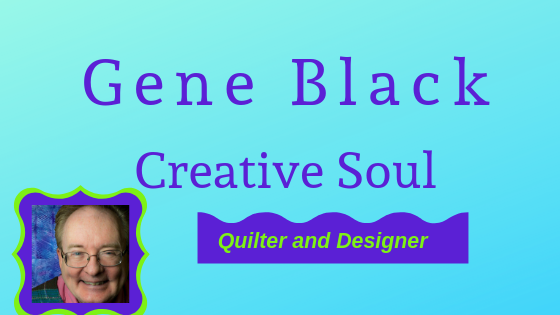 Stop by my blog to see the quilt show- There is a "wonky" in there that you might like!!!! Such a cute doll! I am learning more and more about you every day, Gene! So proud of your talents. Congrats on the princess. Hope your quilt wins, too! The doll is adorable...and the top to match...how fun!! Love the dolly and her top to go with it is great. YOur a very talented guy. 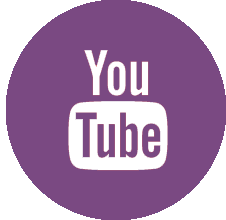 Thanks for all your great ideas. HUgs. The doll is adorable! I know it will be loved!